After looking at these pictures, I would be saying the same thing you are….”Jake and Kelsey look like they are professional bear feeders.” Well, let me tell you, You are correct. Jake was so cute and surprised me and bought us tickets to bottle feed the bears. It was a fun wild life close encounter. Jake fed a bear named Wrangler, and I fed Radar. 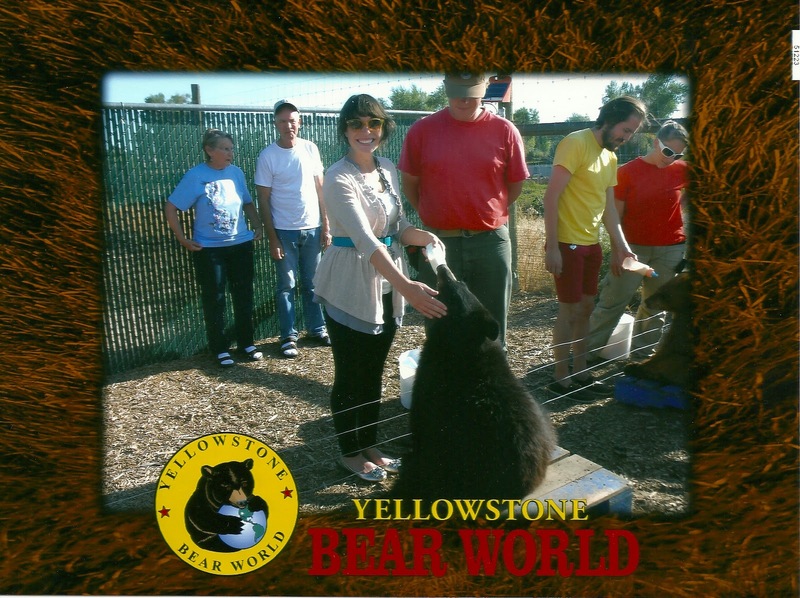 We got to feed six different bears total. I got to touch one of the bears paws, and we were not supposed to, and it was soft and squishy. That was a highlight. Another was Jakes hand got bitten off. Now he has a hook for a hand. Really if that happened, I would approve. The baby bears, after they are born, they are taken to the homes of the bear world facilities faculty members. There in the bears home providers they are nursed, cared and trained to become friendly, hospitiable bears. This was so fun! Bear World was a true success!